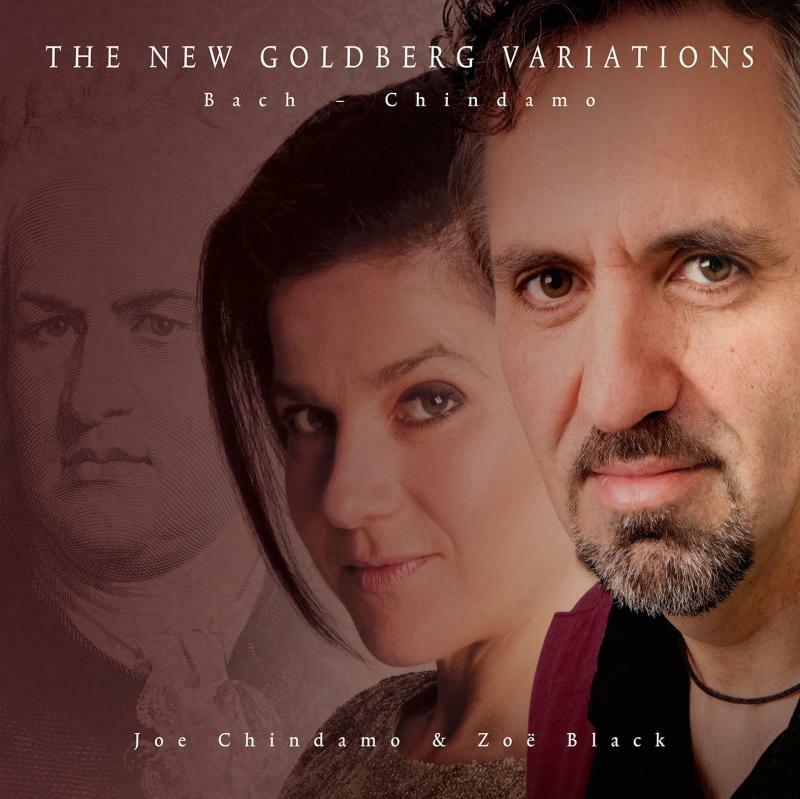 For Immediate Release, August 12, 2015 … ALFI Records is pleased to present The New Goldberg Variations, an inventive and inspired re-imagining of Bach’s masterwork, from Australian duo Zoë Black, violin, and pianist Joe Chindamo. First performed recently and to great acclaim in Melbourne, The New Goldberg Variations features Bach’s complete and original Goldberg Variations with a newly- composed counterpoint for the violin by Joe Chindamo. The world premiere recording will be released in North America on August 28. In addition, Black and Chindamo will make their U.S. debut as a duo, performing The New Goldberg Variations in recital at Weill Recital Hall, Carnegie Hall on Wednesday, September 30 at 8:00 pm. Well-known in their native Australia, Black, a leading classical violinist, and Chindamo, an internationally- acclaimed jazz pianist, composer and arranger, are praised for combining the rigor of classical music and the excitement and urbanity of jazz. They are described by Limelight Magazine as "brimming with creativity ... instead of breaking down boundaries, this duo appears not to notice them." “The Goldberg Variations is my refuge,” says Chindamo, “it satisfies me intellectually and nurtures my soul.” However, the addition of an extra violin line to Bach’s work – where the piano part remains unaltered – is a daring venture, which Chindamo did not undertake lightly: “When Zoe asked me if I would write a part for her, the only self-imposed rule was that I would not alter a single note Bach wrote, and decided to adhere to Bach's language and aesthetic. Now, this is dangerous idea because to write in the style of Bach is akin to introducing another character into one of Shakespeare's plays!” Before long, the project became an obsession imbued with an intense sense of purpose for Chindamo, “As I worked through the variations, the violin part increasingly assumed a collaborative role and then, it was almost as if Bach's original keyboard part began to posthumously respond to the violin!” With The New Goldberg Variations, Chindamo and Black have created an improvisational meeting between two players, across almost three centuries. Born in Melbourne, Australia, violinist Zoë Black has performed throughout the world as soloist, chamber musician and as a member of the Australian Chamber Orchestra, with whom she held the position of Assistant Leader for five years. During the past decade she has dedicated her energies to Chamber Music and was a founding member of Freshwater and Firebird Trios. Zoë has performed in Moscow and at Tanglewood; with the Juilliard, Guarneri and Takács Quartets; and in Israel with Shlomo Mintz. Recently, Black led the Australian String Quartet on a tour to Italy. Described as one of the best jazz pianists in the world, Joe Chindamo has composed concertos, chamber music and film music. He has recorded 23 CDs and performed on more than 60 film scores. His performances around the world include concerts at the Umbria Jazz Festival, the Tokyo Dome, and Lincoln Centre in New York, numerous world tours with drummer Billy Cobham, and concerts in Italy with pianist Michele Campanella and at the invitation of celebrated piano maker Paolo Fazioli. As a composer, Chindamo has been commissioned by ensembles including the Acacia Quartet, the Freshwater and Seraphim Trios, and the Australian Chamber Orchestra. Black and Chindamo's previous duo recordings include Re- Imaginings, featuring compositions by Chindamo alongside his re-imaginings of Chopin, Schumann, Handel; and Dido's Lament, mixing Chindamo's own compositions and re-imaginings of Scarlatti, Puccini and Purcell, with a verbatim reading of Prokofiev's Five melodies, Op 35bis, which was nominated for Australia’s ARIA Award for Best Classical Album of 2014.